Vladimir Vladimirovich Putin was born on 7 October 1952, in St Petersburg – then Leningrad and in the Russian Soviet Socialist Republic of the Soviet Union – into a relatively poor Russian family. Vladimir Putin is best known as the current President of Russia, having already served as the president from 2000 until 2008, and he assumed office for the second time in 2012. In between his presidency, Vladimir Putin served as the Prime Minister of Russia supposedly under President Dmitry Medvedev. 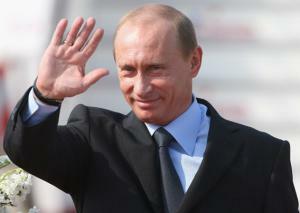 So just how rich is Vladimir Putin? According to authoritative sources, Vladimir Putin’s annual salary amounts to approximately $187,000, and in regards to his total wealth, Vladimir Putin’s net worth is variously estimated to be anywhere between $70-200 billion, which obviously comes from a variety of activities including his involvement in politics. His assets are believed to include at least 20 residences. There is little official information on how Vladimir Putin has acquired his wealth, as it is a very closely guarded secret. Various attempts to investigate any perceived wrong-doing by Putin over the years have been quashed. His assets are believed to be widespread, including in oil and other resources, and have clearly consistently improved his net worth over more than two decades. As a teenager, Vladimir Putin attended School No. 193, and later enrolled in the Leningrad State University, where he studied International Law. While a student, Putin joined the Communist Party of the Soviet Union, and remained a member until 1991. Putin graduated from the university in 1975, and immediately joined the KGB, the main security agency in the Soviet Union. In the KGB, Putin rose to become a lieutenant colonel, and served in various positions including in East Germany with the Stasi secret police for five years, before formally resigning from his duties in 1991 as the Soviet Union fell apart and privatisation of many formerly nationalised industries and companies began. A year before that, in 1990, Putin became an advisor to Anatoly Sobchak, who served as mayor of (then) Leningrad, and then head of the Committee for External Relations of the St Petersburg Mayor’s Office. In 1994, Putin was appointed as First Deputy Chairman of the Government of St Petersburg. Vladimir Putin became noticed by the central government, and was called to Moscow in 1996 to become a Deputy Chief of the Presidential Property Management Department (other languages), This position he occupied until March 1997, with responsibility for the foreign property of the state, including organizing transfer of the former assets of the Soviet Union and Communist Party to the Russian Federation. Vladimir Putin also served on the Committee for External Relations, Deputy Chief of Presidential Staff, and head of FSB, a principal security agency of the Russian Federation. Putin became prime minister in 1999, and later that year he claimed the position of Acting President of the Russian Federation following Boris Yeltsin’s resignation, a position he then held for two consecutive terms from 2000, which was the maximum permitted at that time, but then was re-elected president in 2012. Regardless of his reputation internationally, Vladimir Putin is highly respected in Russia for the political changes he has effected while president, as well as prime minister. Over the years, Putin has managed to effect reform of the military and police, reduce income tax to 13%, and support the energy police, which has resulted in the allocation of underwater oil and gas deposits to companies without auction procedure, which allowed Russia to maintain large supplies of energy. In 2007, Putin was named the “Person of the Year” by “Time” magazine, while in 2011 he received the Confucius Peace Prize from the China International Research Center. That same year, a mountain in Tian Shan was named “Vladimir Putin Peak”, If these events are at variance to his international posture, then that is the difference between Russia and Russians, and how he and Russians are perceived by the world at large compared with domestic support. In his personal life, in 1983 Vladimir Putine married Lyudmila Shkrebneva – the couple finally divorced in 2014, and has two daughters about whom little is known. How should the US respond to Vladimir Putin's latest threat?